Corkscrew nose rings are small studs that fit flush up against the side of your nose. The post of the stud is twisted, resembling a corkscrew, and keeps the jewelry from slipping out of the nostril hole. Inserting a new corkscrew nose ring can be tricky, especially if the piercing is relatively fresh. The key is to take your time and work with clean jewelry to minimize your chance of infection and help the process go a bit more smoothly. Wait two to four months to change your corkscrew nose ring. Nostril piercings take at least two months to heal completely, and attempting to change the jewelry before then can cause the hole to close immediately after you remove the original ring. Wash your hands with antibacterial soap and dry them completely with a clean towel. 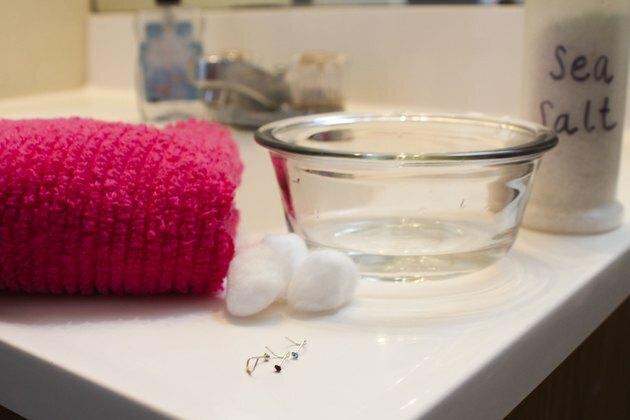 Good hygiene will keep you from spreading bacteria to the piercing when changing the jewelry. 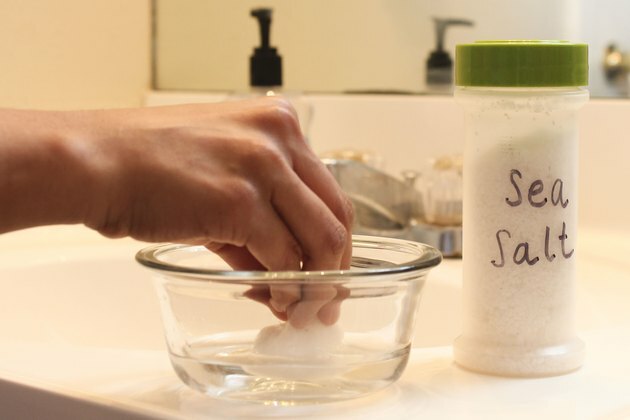 Mix 1/4 teaspoon of sea salt with 8 ounces of warm water. Soak a cotton ball in the solution, and wipe the new nose stud's ball and twisted post with the solution. The mixture will disinfect the jewelry. 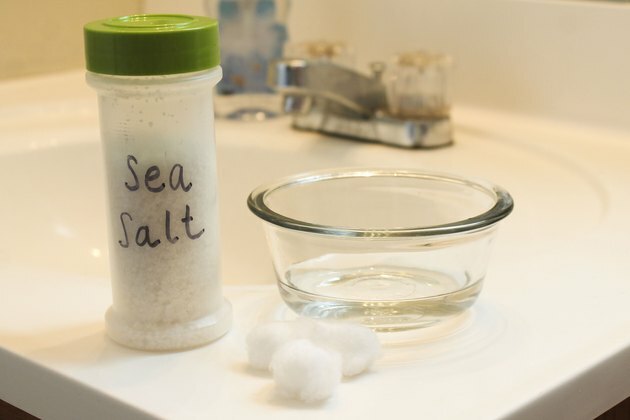 Soak a fresh cotton ball with the sea salt solution, then swipe it around the surface of the piercing to remove crusted discharge from the area and help the old stud to smoothly pass through the hole. Pinch the ball of the stud in your nose between your thumb and first finger, and gently twist the ring in a counterclockwise motion to free it from the hole. Set the old stud aside. Insert the tip of the new corkscrew nose stud into the opening on the outside of your nose. Slide the first finger of your opposite hand into your nostril, locating the back of the hole with the pad of your finger. This will help you guide the ring through the hole. Push the nose ring into the hole, twisting it clockwise until the tip of the post pokes through the back of the hole. Once you feel it come through and poke the tip of your finger, pull your finger out of your nostril. Continue twisting the stud until the ball is flush against your piercing hole. How Soon Can I Change My Belly Button Ring?